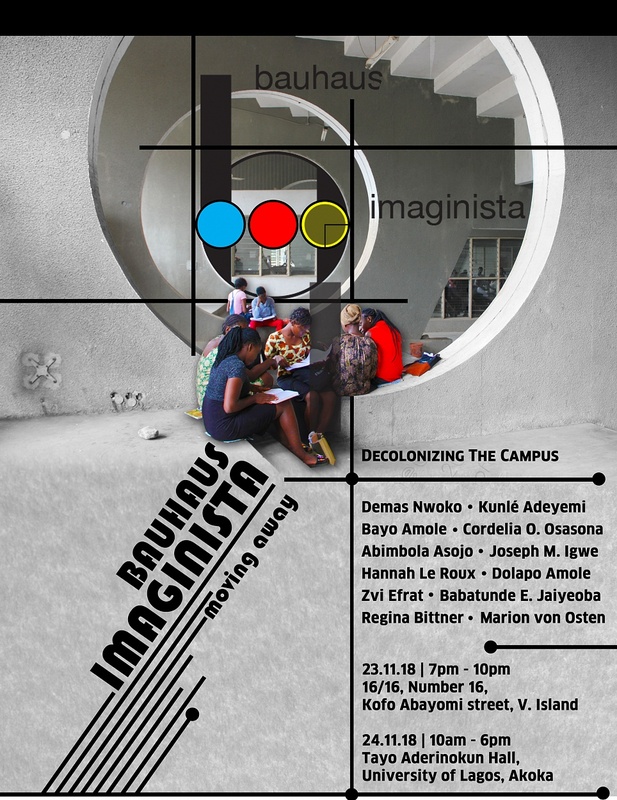 The symposium Decolonizing the Campus will be held in Lagos on 23 and 24 November, in collaboration with the Goethe-Institut, Gallery 16/16, the Department of Architecture at the University of Lagos and Obafemi Awolowo University, Osun State, Nigeria. The symposium will offer a critical dialogue on design pedagogy and campus construction as practiced at the start of Nigeria’s transition to independence. Through dialogue between local and international architects and scholars, the symposium asks how and in what ways did art, design and architecture education differ after Nigerian independence from methodologies practiced within colonial era institutions? What can we still learn and take from decolonial pedagogical practices in the present day? The Decolonizing the Campus symposium focuses in particular on Obafemi Awolowo University. Founded in 1961 as the University of Ile-Ife in protest against British education policy in place at the end of colonial rule, it was, significantly, the first post-independence university in Nigeria to possess an architecture faculty. The Israeli architect Zvi Efrat has been commissioned by bauhaus imaginista to conduct on-site research and produce a short film about the development of the University of Ile-Ife campus, which was designed by Bauhaus graduate Arieh Sharon together with a team of Nigerian architects (including Lagos-based architect A. A. Egbor). Sharon completed his studies at Bauhaus Dessau in 1931, returning to Palestine where he was subsequently appointed head of the State Planning Authority during the War of Independence. His involvement with Ile-Ife campus came about due to his participation in Israel’s development aid programs in Sub-Saharan Africa. Sharon and his team designed and constructed the University of Ile-Ife campus over a twenty-year period lasting into the 1980s. How did the resulting purpose-built campus in the ancient town Ile-Ife differ from colonial era campus architecture built, for example, by the British architecture firm Fry, Drew and Partners in Ibadan? How was the Ile-Ife Campus perceived by local students and architects and how does it function today? The symposium is curated by Marion von Osten (Berlin) and Zvi Efrat (Tel Aviv), in collaboration with the Goethe-Institut Nigeria. Previous ArticleDiscovering Oscar Maschera’s genuine leather furniture, home and office accessories.